The Kiechler Law Firm handles matters at all different levels when it comes to criminal defense. We handle issues dealing with juvenile law, traffic tickets, misdemeanors, felonies, and violations of probation/deferred adjudication. 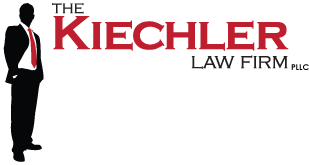 If you are having a criminal issue, The Kiechler Law Firm can help you. Listed below are some common criminal offenses; each specific legal matter has additional information covering the law, punishment, and defense issues. Whether an individual is a first time offender or a repeat offender, every individual case has its own facts and circumstances which lead to different results; the advice of an attorney is always recommended. Check out the State Bar of Texas website for an in depth outline of the entire Texas Criminal Justice process. Click on the links to the left to find out more information on each area. The Common Defenses listed in each offense are not applicable to every case. Each individual situation needs to be analyzed on a case-by-case basis to see whether or not a common defense applies. While some cases have a common defense, a constitutional defense, or a procedureal defense, other cases may have no defense at all.